A short time back, I showed you how to change the Project Harbor configuration to use persistent storage provided by docker volume driver for vSphere and save your images on Virtual SAN. 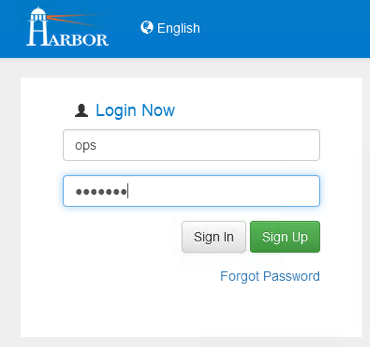 In this post, I will show you how to use Project Harbor by adding a new user to Harbor, create a new project for this user, login to Harbor via docker, and then push and pull image from the Project Harbor repo. While these instructions are simplified just to get you started, you should refer to the official project hard documentation which is available on the github site. The user guide can be found here. The default credentials are admin/harbor12345. These can be changed once logged in. But at the very least you should check that you can login here before trying to push/pull images. I decided to create a new user called ops for this demo. I called the project “ops-repo”. My images will appear here. 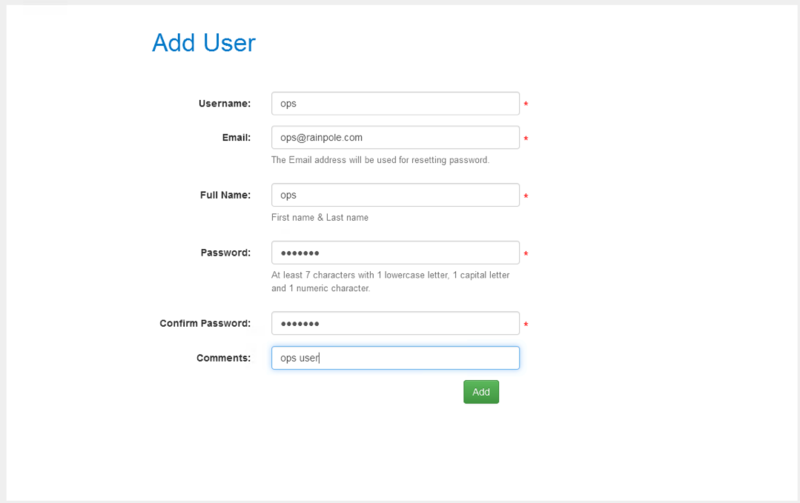 By the way, even if you are using an admin user, you will still need to create a project. It is now time to push and pull images to this repo. This is done from the docker command line. In the following output, you can see a number of attempts to login to the registry. The first thing I did was to create a DOCKER_OPTS environment variable which enables insecure access on port 80. You can see initially that the login is attempted on port 443. On restarting docker, it attempts port 80, but it is only after doing a docker-compose down, then up, that the login actually succeeds. These initial tests were done with the admin user. Login is now working. Let’s try to push an image to the repo using docker push. 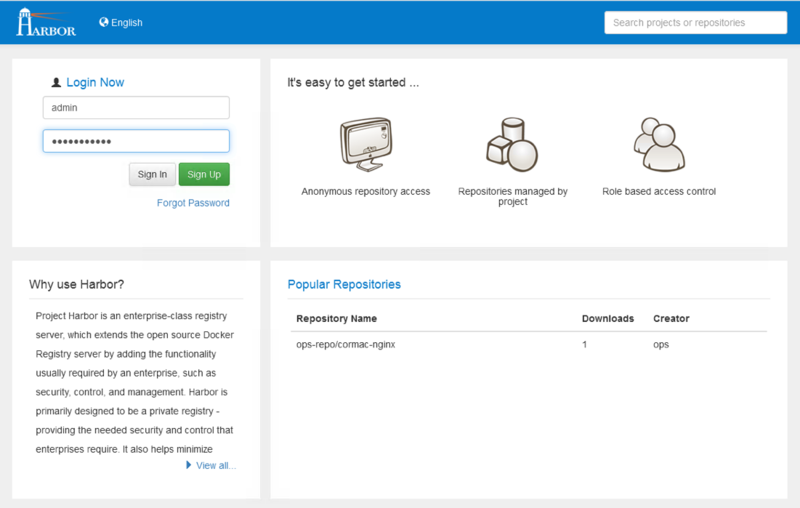 We can now see the image in our repo in Project Harbor. In this example, I will remove the image locally, and then pull it from the Project Harbor repo. Step 8: Do the images still work? 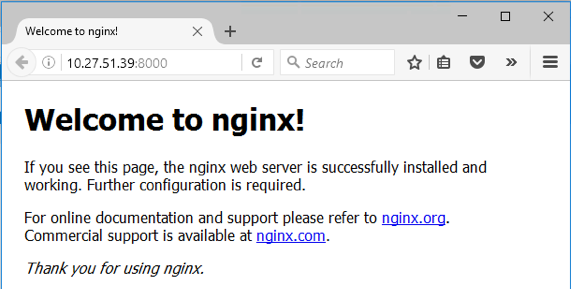 Let’s fire up the nginx image. I chose port 8000 as the port map since Project Harbor is already running another nginx image on port 80.